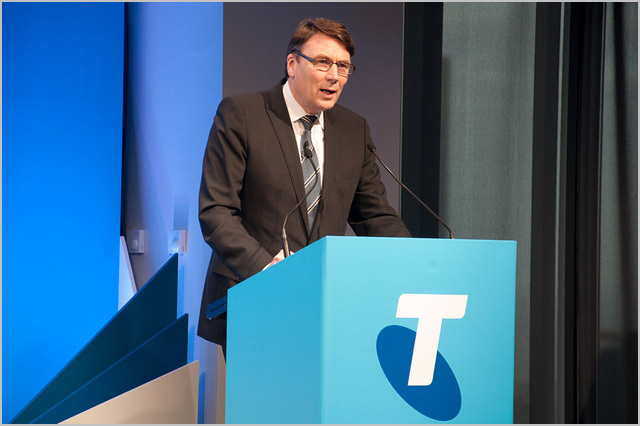 It’s no real surprise that Telstra has pushed this level of staff offshore over the past few years. Since it was fully privatised under previous chief executive Sol Trujillo half a decade ago, the telco has been acting less and less like a former government monopoly and more and more like an honest to God corporation like any other. Australia’s major banks, our miners, our retail chains and every other major business has been offshoring jobs like it’s nobody’s business for years. It’s no surprise Telstra is doing the same. The company hasn’t had many chances to grow its overall revenue under its current chief executive David Thodey — so logically, to enhance its profits, it has to cut its costs. Sounds pretty ineffectual. But then, Telstra’s been pretty good at converting its previously highly unionised workforce into small business contractors of late. We suspect the big T isn’t going to have to negotiate too hard with the unions on this kind of thing. From a business perspective, offshoring is a great thing as it reduces costs and makes it easier to upscale and downscale. 1. Offshoring for some industries means that the industry is upskilling their overseas workers to the point where they can become a competitor. Examples of this are textiles and manufacturing. It means that we lose our lead in knowledge and therefore our edge in the market. If they can do your job as well as you can and they can do it more cheaply then how are you going to do business? 2. This is bad for the Australian economy as the money spent on outsourcing is a drain on our financial eco system. Outsourced jobs are a financial drain on our economy because the money earned by those overseas does not come back to Australia. A dollar spent there does not earn a dollar for an Australian like it would if we were in sourcing. Once part of the PMG (Post Master General) a foundation branch of our fair Govt. Fully functional equitable & fair while prone to only to reasonable (human/nature) delay. Tourism, Employment, Natural Renewable Resources not to mention unknown leash-less foreign trade “agreements”, I for one would like to know if we have’nt become the boat people.